In 2002 with the anticipation of a campus wide 12470 volt electrical distribution upgrade, peak shaving generation and renewable wind energy, the Energy Division was created. 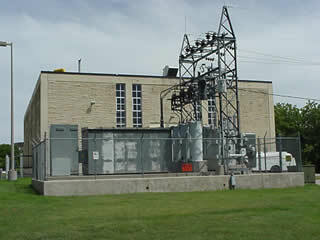 An additional electrical switch gear building was added just South of Akers Energy Center in 2007 for these upgrades. Generating steam for the majority of buildings on campus. Steam is used for building heat, domestic hot water, and cooking. Operating and maintaining three high pressure boilers.